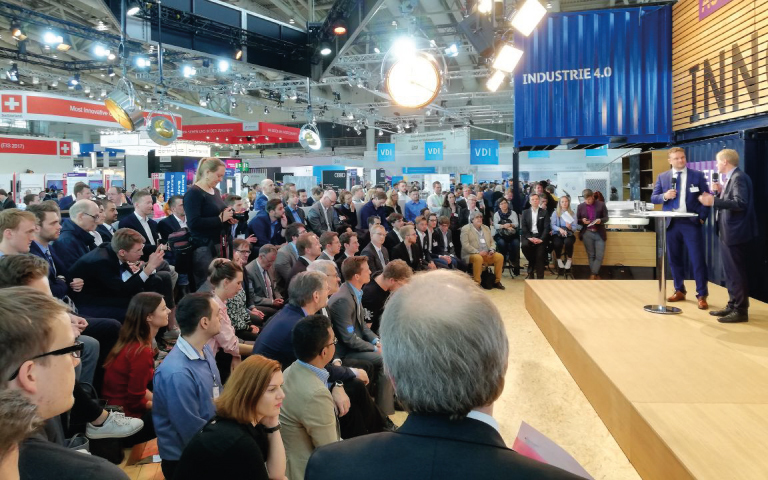 From 23 to 27 April the HANNOVER MESSE 2018– one of the world’s leading trade fair for industrial technology took place in Hannover, Germany. This year’s core focus were on ‘Integrated Industry’ and ‘Integrated Energy’. The HANNOVER MESSE is visited by over 240 000 people per year and there are more than 5000 exhibitors participating. 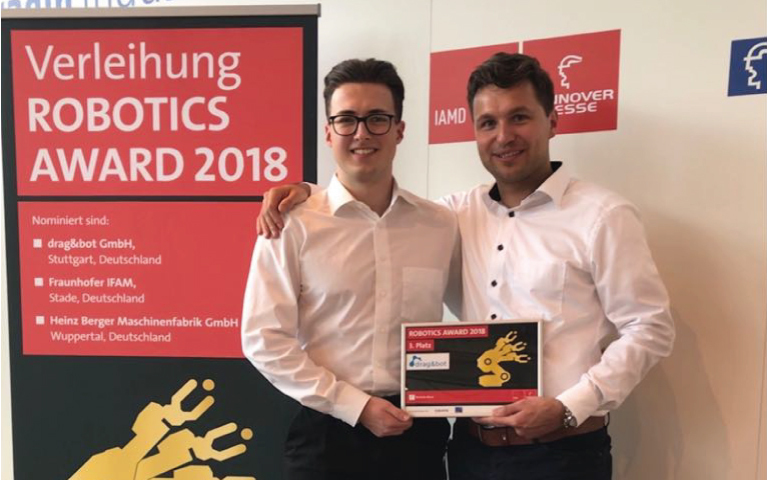 Since 2010 Robotics Academy – in cooperation with HANNOVER MESSE – organizes the ROBOTICS AWARD. This prize honors applied robot solutions in the industrial sector. Companies and institutions globally have the opportunity to submit their projects, technological innovations and products in the field of industrial automation, mobile robots or autonomous systems. The aspect of contributing technologically as well as economically to the industry or society is one of the most important criteria for the jury in awarding the prize. 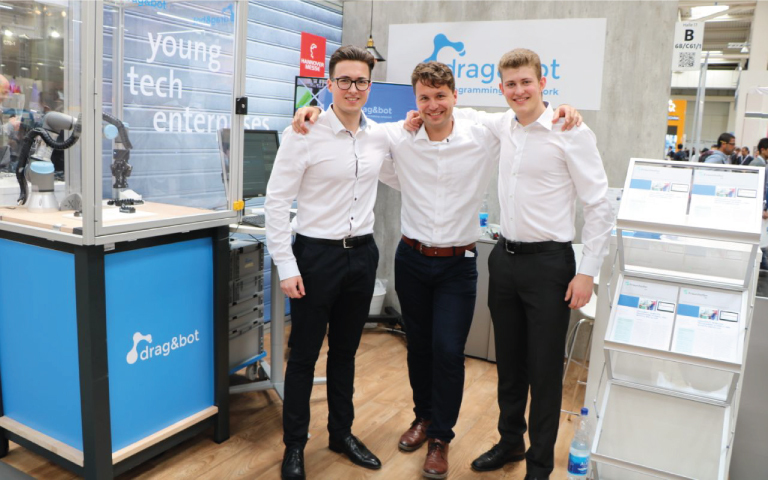 Encouragingly the jury was convinced by drag&bot – this is why we got nominated for the final three! Besides two other finalists, we won the 3rd place! We are very excited about this honor and thank the organizer and contributors for their appreciation!